Sales are back up this week compared to last week, but I was still a bit too inactive to really be where I want to. I managed to spend some more time reposting auctions this week compared to last. I also got in a couple more restocking scans for BoEs so I’m hoping this will pay some more dividends down the line. I had a couple of decent mailboxes and I managed to spend a decent amount too. 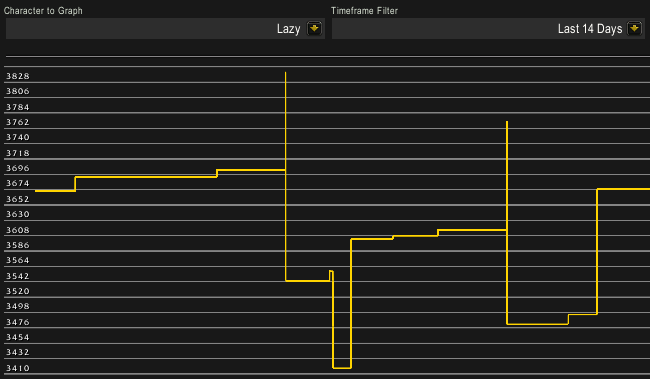 Overall my liquid gold increased by about 170k gold, which is not too shabby. My total sales were at 566k this week, which is slightly below my average for the entire gold cap challenge. BoE sales picked up slightly this week, but they’re not really at the level where I want them. Sadly my sales were very lackluster in most other markets. 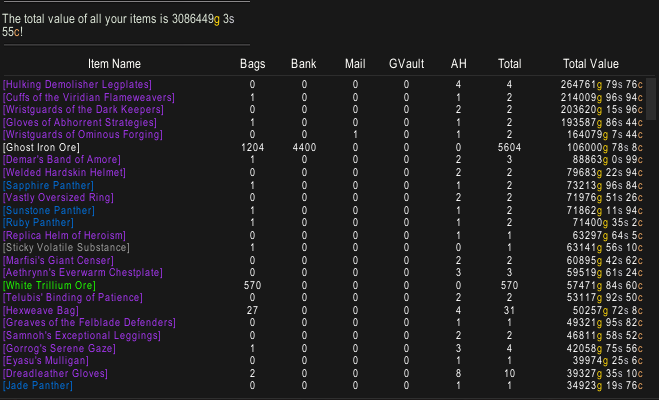 I sold a small amount of flasks, gems, obliterum and bags as well as some crafted armor. This might have something to do with posting frequency, which is still not at the level I would wish. 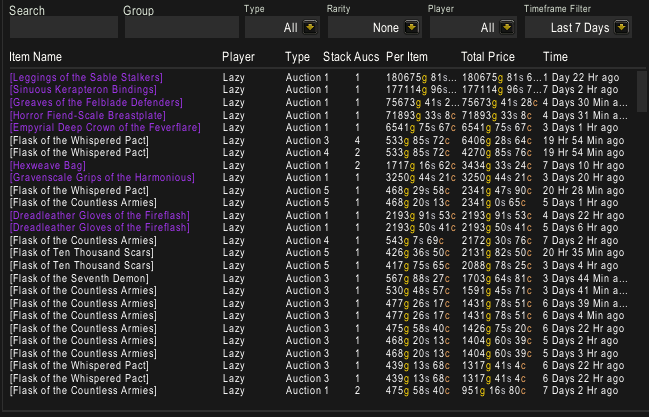 In terms of quantity I only really managed to sell flasks this week, which is the exact same story as last week. I will have to take a look at some new potential markets to add to my rotation going forward. I will definitely have to restock some leatherworking items as I am running quite low on the dreadleather crafts. 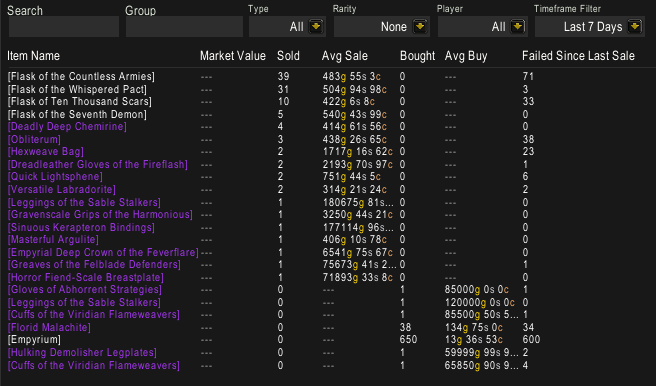 I spent some gold restocking BoEs this week so my 110 BoE inventory is slightly up. I haven’t sold any panthers in a long while, which is slightly annoying. Not sure if this is a pricing issue, a posting issue or something else. I’m going to have to look into it. I restocked some Obliterum this week, but it does not show up in my inventory as prices are fairly low.